Item # 319409 Stash Points: 995 (?) This is the number of points you get in The Zumiez Stash for purchasing this item. Stash points are redeemable for exclusive rewards only available to Zumiez Stash members. To redeem your points check out the rewards catalog on thestash.zumiez.com. Slip and slide like never before while extending the life of your deck in the process, with the Santa Cruz Cellblock White Skate Rails. 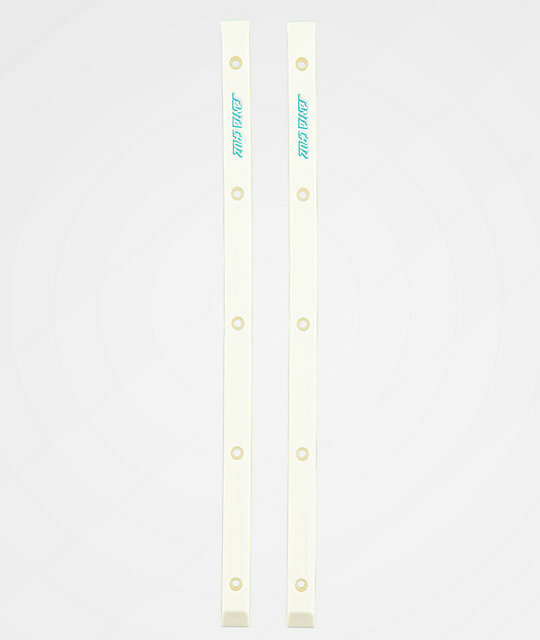 All-white with blue Santa Cruz logo script on each, these rails boast a classic look. Cellblock White Skate Rails from Santa Cruz. White with blue logo script.